Leader of the Islamic Revolution Ayatollah Seyyed Ali Khamenei dismissed the notion that Iran has started the ongoing feud with adversaries, saying the enemies have launched an onslaught to counter the Islamic Republic’s existence and goals. 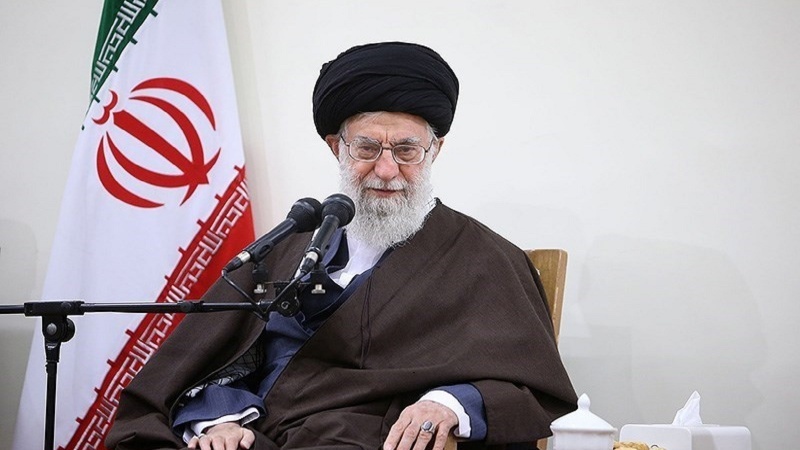 In comments at a Thursday meeting with members of the Assembly of Experts, Ayatollah Khamenei said the Islamic Republic is engaged in a fierce struggle and serious political, economic, social, cultural and security war against the enemies. The Leader then rejected as “sort of ignorance” the notion that Iran has started such a war, saying the enemies have launched the war due to the Islamic Republic’s nature, religious government system, and goals, such as social justice and supporting the oppressed against tyranny, Tasnim News reported. Ayatollah Khamenei further highlighted the Islamic Republic’s success to address the American and Zionist onslaughts in the political, financial, military, security and cultural areas, saying the victory owes to the true faith and piety of a large group of Iranian people and young generation. Praising the active presence of the younger generation in all arenas, the Leader said the youth of today are passionately pursuing the Islamic Revolution’s goals without even seeing late founder of the Islamic Republic Imam Khomeini (God bless his soul) or the 8-year war imposed by Iraq in the 1980s. In comments last week, Ayatollah Khamenei hailed the young Iranian generation for its readiness to push back the enemies more vigorously than their fathers. “…We now have a generation whose faith, talents, flourishment and might outpace the first generation (after the revolution),” Ayatollah Khamenei said, describing the current generation as “fitter” to fend off the enemies than the previous ones.